Due to travel issues, this episode came in late and I’ll skip on the community calendar listings of events. My sincere apologies. 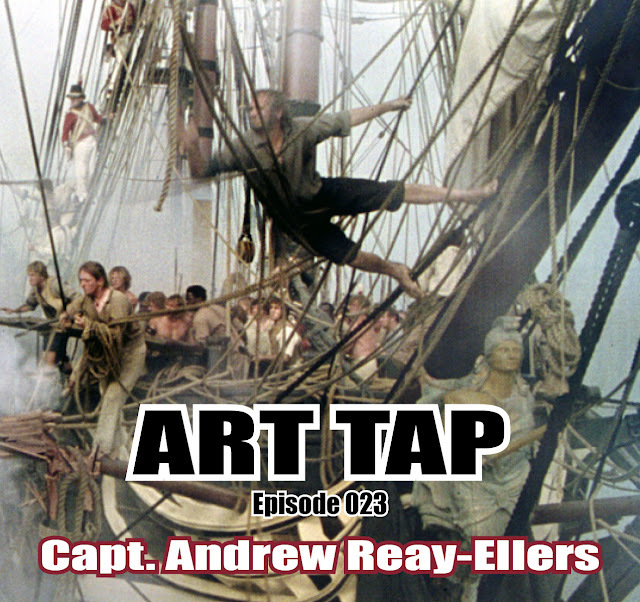 On tap this week is a very unique episode, as I’ve taken ART TAP on the road. I was in Seattle, Washington for the first of its kind PodCon (https://podcon.com), at the invitation of one of my oldest friends. I recorded at the Lake Forest Park Cottage, an AirBnB-style guest cottage run by my old friend Andy and his wife Elise. (https://www.airbnb.com/rooms/674762) My sincere thanks to them for their unbelievable generosity in hosting me there. 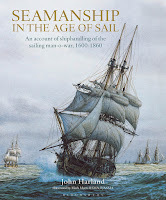 Andy went old school with his Look-up, sharing “Seamanship in the Age of Sail” by John Harland. He bills it as not only the best book of its kind on sailing square sail vessels, but in fact the only book on the topic and one that is universally used for its comprehensive knowledge.